Well, I missed a week. I'm sure you'll forgive me. 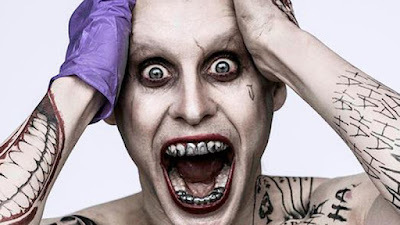 Suicide Squad sure is terrible, and Jared Leto's the worst thing about it. A piece on The Knick, The Girlfriend Experience, and Soderbergh's television exploits. I've always gone to the mat for the Bourne movies, so Jason Bourne may be the summer's biggest disappointment. My review. Also very bad: Bad Moms, which really should put an end to women's stories told by men, but won't. Some thoughts on disco and the movies, tied to the new series at the Metrograph. For Second Glance, an appreciation of Garry Marshall's Nothing in Common. Finally subjected myself to A Talking Cat!?! for the most recent Bad Movie Night. I made an indie guide for August, with a whole bunch of goods stuff. Blu-ray/DVD/streaming guides for 8/2 and 7/26.